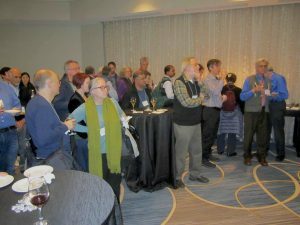 Many thanks to the many people who stopped by the Mathematical Reviews booth at the AMS exhibit in Baltimore or came to the Reviewer Reception. 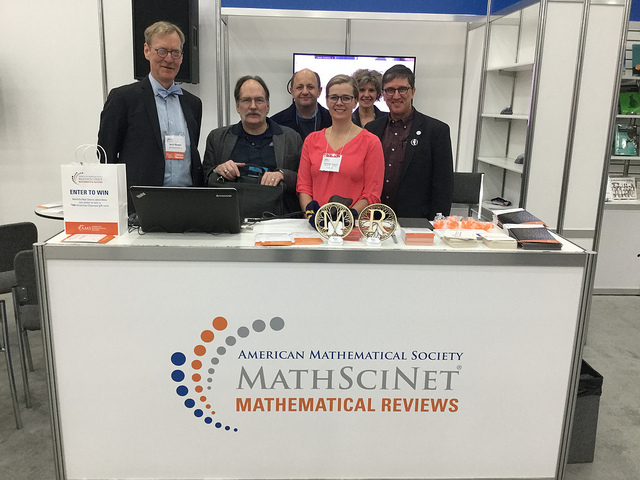 We spoke with many long-time reviewers, met some new reviewers, and talked with quite a few of you about using MathSciNet. We were also very glad to have had the opportunity to talk with several publishers and with several librarians. The publishers and librarians were especially helpful with feedback on the prototype journal pages we were trying out at the JMM. Here are a couple of photos from the meetings. Norman Richert, Jim Epperson, Steve Damelin, Amanda Francis, Kathy Wolcott, and Edward Dunne. At the MR Reviewer Reception. 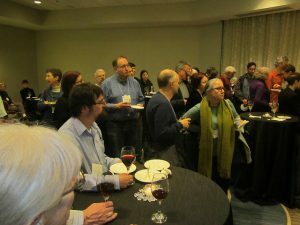 A mixture of reviewers, publishers, and librarians is visible in the photo. Many people came! Mitch Keller, from the Mathematics Genealogy Project, is visible in the middle of the photo. 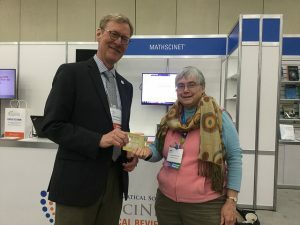 We gave away $100 Gift Cards to people who stopped by and asked about MathSciNet. Here are two of the three winners. 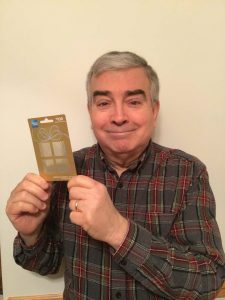 Photo of Henry Ricardo, Friday winner of the gift card. 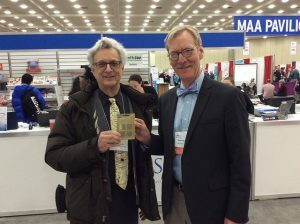 AMS member for 50+ years!